I came for the Prawn Mee but it was closed. I remember asking the Auntie of that stall when is their off day and she said, 'It is quite random." then I said, "Most of the times when I was here, the stall is closed." She said, "We usually sold out before 1 pm." I walked around the food centre to look for an alternative. I wanted to have Bak Chor Mee but Uncle and Auntie were eating their lunch and I did not want to disturb them. 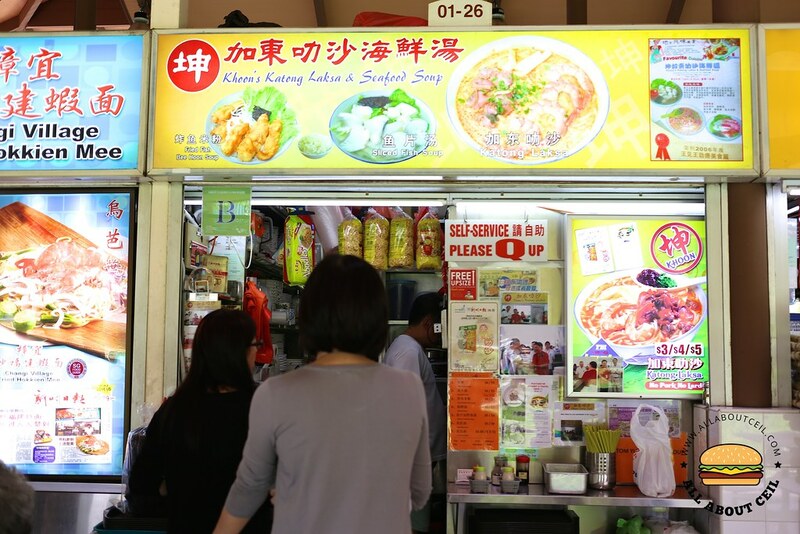 I decided to try the Katong Laksa for the first time at a nearby stall and there was a short queue. 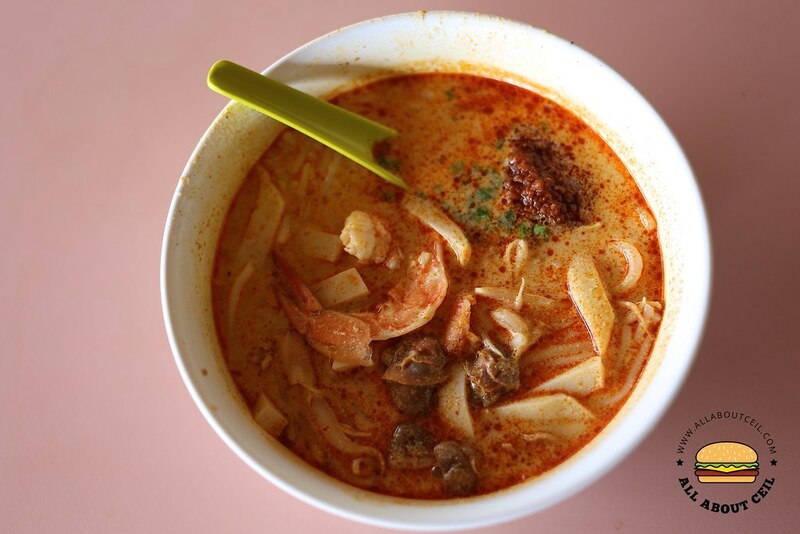 They do not just serve the laksa but also fish soup and seafood soup. 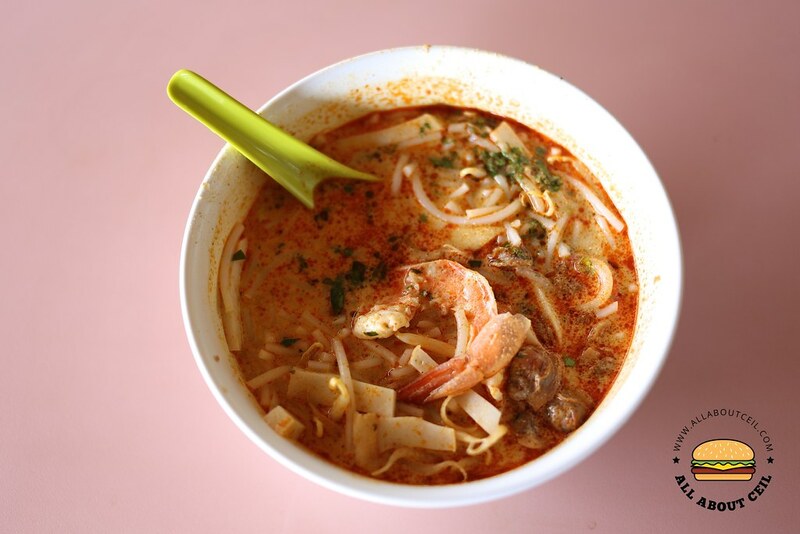 There are 3 choices for the laksa, the smallest portion at $3 then followed by the $4 portion and the largest portion at $5. The lady boss was smiling and rather friendly when she asked for my order. I went with the $4 portion. She asked, "with cockles?". I nodded my head. Then she used a spoon to scoop the chopped laksa leaves together with sambal chili. She showed it to me and asked, "Enough?". Again, I nodded. 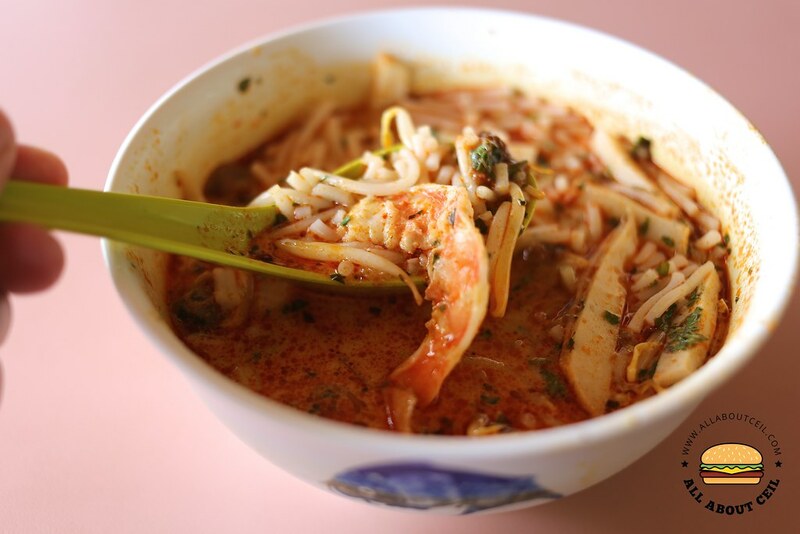 The thick bee hoon was deliberately cut into shorter pieces so it is easier to eat with only a spoon, just like other Katong laksa. It is served with 2 pieces of halved prawns, strips of fish cake, cockles and a handful of bean sprouts then garnished with chopped laksa leaves and sambal chili. It has a slight hint of coconut milk with a well-balanced spiciness. This might not be as famous as other Katong laksa but it is tasty enough to serve as an alternative when I need. Though not as famous but this is better than the famous 328 Katong Laksa which I tried but did not like it enough to finish it. I still remember that only a small packet of sambal chili is given with each bowl of laksa and if you need an extra packet of chili then you are expected to pay for it. And, their laksa is priced at $5 for a smaller bowl and $7 for a larger bowl, which is more expensive and not quite worth the value.